Last year, the word du jour was hygge (pronounced hoo-ga). Everybody was hygge-ing it up with their warm drinks, home-baked goodies, and candles, trying to create the sense of coziness that the philosophy embodies. I personally embrace the concept. I’m an introverted, albeit family-oriented homebody, so my personality is pretty much designed to revel in all that warm, intimate togetherness. In the-ber months here in the Philippines, it can be cool enough so hot cocoas, frequent cuddles, and a perpetually steaming, cinnamon-scented kitchen become even more enjoyable. Take note, I said more enjoyable – that means we’re a people who are used to hot dishes and drinks as well as cozy snuggles in varying degrees of tropical heat. This year, however, another Scandinavian word is working its way into popular consciousness. Friluftsliv, an ancient Nordic philosophy that literally translates to “free air life”, is about spending time outdoors and connecting with nature. Unlike hygge, which is easy enough to say even for my untrained tongue, friluftsliv is quite the mouthful, and it will trip my tongue and tangle it up if I say it without proper preparation. It also takes similar effort for me to get behind it, not because I don’t agree with it since I wholeheartedly do, but because my mental conditioning tries to limit me to comfy, air-conditioned, wildlife-free interiors. It’s all a lie, though, I’ve discovered. I’ve always enjoyed the outdoors. The problem is that I have a tendency to be lazy and finicky, an inclination I used to frequently indulge, which unfortunately led me to turning down opportunities to get out there and choosing to stay comfortably ensconced within the confines of my home. I’ve found though that when I did step out of my comfort zone, my effort was always rewarded. Being out there in nature never failed to enrich me. Being a parent in this day and age, I have to be even more diligent about making that conscious effort to spend time outdoors. It was author Richard Louv who coined the term “nature-deficit disorder”, and it’s a truly alarming condition, considering so many children are happy to vegetate at home, staring at a screen for hours on end. This activity, and I use the word with irony, is something that has been associated to the exacerbation of mental and emotional disorders, so parents really have to be vigilant in qualifying and quantifying the exposure that their children get. In my opinion, and I’ve been to known to have reasonable ones, the natural world is as fine an exposure as children can get. Spending a lot of time in nature, as what friluftsliv advocates, is important to a person’s wellbeing. Human beings were meant to live in it and not in the artificial setting we’ve come to fashion for ourselves. Something integrally within us seeks out the natural world and connects with it. That’s why when we give ourselves a healthy dose of nature, we feel revived. We get that kind of energy from a living, breathing world. They might not have called it friluftsliv, but the experts have been pushing us to ingrain it into the lifestyle of our families. It is quite easy and cheap to do too. Contrary to popular expectation, outdoor recreation does not have to be extremely rugged. You don’t have to go rappelling, spelunking, whitewater rafting, scuba diving, etc. You don’t have to travel a long distance either to experience nature. Where I live, a stroll around the neighborhood is sufficient. There are nearby parks that also serve quite well. Nearby university campuses have also nice offerings in the way of greenery. Graveyards have also been known to work for us. When we want to be in the thick of wildlife, we fortunately only need to go for a short drive. We live in a river valley and the mountains surrounding us have plenty to offer that bears exploring. What do we hope to gain by observing friluftsliv? The benefits include increased physical activity, lower stress levels, and seriously quality time spent either alone or with company. And you get to achieve all of them amid the beauty of God’s creation, which is unparalleled. Do you feel the lure of nature? What do you do to make sure that you and your family regularly get to connect with it? You can probably tell that digital dependence is a favorite gripe of mine, so let me clarify right off the bat that I’m not against the technologies enjoyed today. They’re extremely helpful. I actually use them a lot. I just don’t want my family to feel debilitated without them. I don’t want our daily vista to mostly consist of a digital screen. I don’t want my children to think that they’ll be bored without a gadget. I don’t want them to choose phones and tablets over people and forget common courtesy while they’re at it. I don’t want us to think that we’ll flounder and sink without our digital tools and the ability to connect to the virtual world. We’re a homeschooling family, and it’s easy to rely on digital devices and the Internet for our learning and entertainment needs, or, even, for contact with other people (We’re socialized just fine!). For this reason, I’ve convinced myself to make a better effort to turn to other options for these, such as crafts, imaginative games, practical arts, snail mail correspondence, etc. I’ve also decided to ensure that my husband and I impart traditional life skills that do not require the aid of a digital tool. What are some of these? Navigation skills. You can’t always count on your car’s GPS. There have been a few times that we lost signal going through a remote mountain or country road. When I was growing up, my dad always had at least two maps in the glove compartment, and I know that they served him really well both in his job and in his ministry. Being able to read maps is invaluable even in this day and age. If I were visiting a new place, I’d be quick to get a map from the tourism office or from a kiosk, if the town or city is a popular destination. ‘80s phone skills. It’s not just about phone manners, which are important, of course. The phone was a huge thing when I was growing up. A math-phobic, I used to say that the only numbers I was good with were phone numbers. I had all my friends’ (and then some) numbers memorized. Sadly, the only one I have down to memory these days is my own mobile number. I even have to check my contacts for our land line number. That has to change. I’d be in a pickle if I have to call somebody and can’t check my contacts for the necessary information. I should go back to jotting down phone numbers in my planner as well. Handwriting skills. This covers a few sub-skills. I love a beautiful, elegant script. Mine is a lovely pseudo-Spencerian, if I do say so myself. It’s not exactly Spencerian, but it has a Spencerian air. Okay, that sounded just as dumb in my head, but I still went ahead and wrote it. Many people might think it’s pointless to learn script, but it says a lot about a person who took the time to develop a nice cursive. It’s not a genteel time, so things of refinement are even more special. It’s an uphill task thus far with my daughter, but we’ll get there. I remember a meme on Facebook saying “Us old folks will use cursive writing as a secret code.” I certainly hope it never reaches that point. Of course, handwriting is also associated with composition skills. There’s no spell and grammar check to count on. Offline research skills. It’s so easy to just google everything, but I’m teaching my kids how to consult the dictionary and other reference books, including the phone directory (have I got some stories for them about my use of phone directories when I was young and stalker- stalkerly? Stalkerish?) and the yellow pages, as well as how to use the index and glossary. We love libraries and are fortunate to have a librarian cousin, so we can spend time learning in a nice one. Mental computation skills. They’re not only necessary for when we don’t have a calculator handy (dead phone), but they’re great for keeping our minds sharp and logical. No matter how skittish I am about math, I have to accept that it’s important and extremely useful in practical life. Face-to-face social skills. This involves learning to take turns in conversation, actually listening, and reading social cues. I’m afraid my daughter has a tendency to keep on talking as long as she has something to say. Since she never runs out, she’s usually full-speed ahead. It may not seem as obnoxious in online chats, but she has to moderate herself in real life. That’s something that she’s working on. Children are also usually sensitive to emotions, but they won’t be able to hold on to this keen sense if they start looking to emoticons for clue. Self-entertainment skills. Children, for the longest time, have complained about being bored, and parents, for just as long a time, have either threatened to give them something to do or urged them to think of something to entertain themselves with. Back during my childhood, it was either watch TV, which had all of five channels, or go out to play. Good thing I loved to read and daydream. We weren’t allowed to read in a moving car, so for long car rides, my sister and I had to come up with games to play or content ourselves with singing along to the radio. These days, children have a tendency to depend on a mobile device to keep entertained. It’s important to me to show mine that they have the ability to come up with many other choices for enjoying themselves, especially out in nature. EXTRA: Scouting skills. Reading a compass, building a campfire, foraging, setting up a shelter, tying proper knots… These are all basic survival skills that I’d like my children to acquire. I was a girl scout for several years and thoroughly enjoyed the experience. I’d love for my kids to join the scouts as well. A fellow homeschooler told me that the national scouting organization is open to homeschoolers joining, provided they have a trained and certified scoutmaster lead them. I’m looking into the options we have here. These are skills we were fortunate to develop growing up in a less high-tech time. It would definitely benefit our kids to acquire them too. Can you think of any more old school life skills that would diminish the inclination toward digital dependence? Now that Autism Awareness Month is over, I wonder just how much more aware people are of the condition. I have a feeling those who bothered to read posts and watch videos were mostly those who were already aware and probably dealing with it in some capacity. Those who shared a witty slogan or two were likely happy to leave their contribution at that. Did you wear or decorate with blue? Yeah, that was supposed to mean something. I don’t know that I’m ready to write about autism. I don’t know that I have anything sensible, let alone helpful, to say. When it comes to my son’s condition, I still have no answers, no Eureka moments that other families dealing with ASD (Autism Spectrum Disorder) have been blessed with. You can say that I’m still floundering. It’s not even being back to square one. At square one, I thought the solution was definitive. The developmental pediatrician had made her diagnosis and subsequent prescription, so I expected to see significant results in time. That was very naïve of me. Autism does a magnificent job at confounding the most logical and learned minds. Is it neurology, nutrition, genetics…? I don’t know. Nobody actually knows. Experts, non-experts, and people with barely a nodding acquaintance with the subject all have their theories, but autism remains an enigma. I’m still not comfortable with that. I don’t think I ever will be. But it’s my reality and I’m learning how to cope. I still alternate between acceptance and anger. And guilt. There are people who are great at playing victims, and then there are people like me, who would claim responsibility for causing the decline of modern civilization. My natural inclination is to spend an unhealthy amount of time blaming myself for the ills of my personal world. These days, my son’s autism is almost always at the top of that list. At the end of the day, however, no matter my frame of mind, I have no choice but to take things a day at a time. My second child was diagnosed to be on the spectrum two years ago. He had just turned three. He’s a handsome boy with a charming cleft chin and a gorgeous gaze that snared you whenever he deigned to bless you with eye contact, which was a rare treat indeed. It just seemed like he was too cool for us, something that didn’t fit with toddler behavior. He didn’t want to listen to you. He didn’t respond to his name. Nonetheless, he didn’t walk on tiptoes. He didn’t exhibit any propensity for stimming. His verbal communication was minimal, but there were enough bursts of language to make us hope that it couldn’t possibly be. Still, there were very clear delays in speech and social interaction, so my husband and I decided to take him to a developmental pediatrician. No blood was drawn. No lab test was conducted. There was a checklist though. My husband and I were interviewed, and then, finally, the doctor assessed our boy through play. An hour or so later, we had a diagnosis: he exhibited developmental progress of a 1.5-year-old and manifested autistic behavior. When I finally had that official confirmation, I spent a whole lot of time in denial and in ignorance. I thought we could beat autism. We would therapy the heck out of our boy so he’d get caught up in areas wherein he exhibited delay. I would make it my main mission in life and would not rest until my son was developmentally caught-up. Them’s fighting words. The fervor, however, fizzled as my plate teetered with all my other responsibilities. I was working, nursing an infant, homeschooling, doing what I could so the house didn’t completely fall apart… The solid effort I imagined putting in to power through the challenge I had such a laughably simplistic view of never materialized. It wasn’t just my pitiful effort to the initial intent to railroad autism out of our lives; it was autism itself. There’s a name for it, but, oh wow, what an unknown entity it remains. The more you try to understand, the more you see that you can’t really fully know. That spectrum is a jumble of overlapping variables. The compartments are but an illusion. Expectations are not encouraged. Still, we had to do something. We followed expert instruction and sent our boy to occupational and speech therapy twice a week for over a year. Unfortunately, results were minimal. While it’s true that we sucked at supplementing therapy at home, I just felt in my gut that this wasn’t the right approach for helping our son. He had some good therapists, usually the older and more experienced ones, and he had some who were unsatisfactory. For instance, one was always rushing through the session and ending it with 10 to 15 minutes more to spare. That was obviously a great way to not give us value for our money, so I requested a different therapist after I’d noted the pattern. Another therapist frequently gave negative feedback on my boy’s performance. When I got to observe a session with him, I noticed that he spent a lot of time on massage that was supposed to calm my son down. That showed itself to be a problem. First, I’m not comfortable paying occupational therapy fees for sessions that were half-massage. Second, he was using a product that I hadn’t approved of. My son has very sensitive skin and many products, even the hypoallergenic baby variety, make him itch. Third, all that massage made my boy sleepy. No wonder he was cranky and reluctant to perform. This same therapist also asked me about play, and I replied that my son was really taken with straws. That gave him a pause, and with a look of concerned censure, he informed me that that was not developmentally appropriate. At that time, all I could do was shoot him a confused WTH look. “Duuuuuuuude, are you aware that you’re dealing with kids who were sent to you precisely because of their developmental delays?” In retrospect, there were other red flags I’d caught from that conversation. He just didn’t seem to know much about autism, so we decided that one wasn’t getting our hard-earned money either. And then there was the front desk clerk. There was a time when I picked up my son a couple of minutes late. Unfortunately, this was during the time of the therapist who liked to cut her sessions short, so it’s possible that my son had already been waiting 10 or more minutes. I was amazed to see my boy sitting quietly beside her. That’s pretty much unheard of. He’s not one to sit still without something truly fascinating engaging his attention, and even then, he’d still feel the urge to move around. As we walked to the car, I noticed that my son was upset – not meltdown-upset, but more timid-upset, something also quite unheard of. The alarm bells began clanging in my head. I didn’t know how to find out if she’d bullied my child in any way to make him stay put, but I resolved to keep my eye on her and to never be late ever again. After more than a year in, we didn’t see any marked difference in our child. His therapists would eagerly report his progress, saying now he could do or say this or that, and I’d have to pop their excited bubble and say that he could already do those things even before. I don’t mean to deprive them of any credit at all because there were some new things he did learn, but in my mind, I’m wondering if they could be attributed more to natural progression than anything else. In the end, we decided to pull him out from the center and regroup. It was temporary at that time, but now I’m pretty sure we’re not going to use that place again. While in therapy hiatus, I’m researching all I can and trying out different approaches that speak to me. ABA, which was what the center practiced, didn’t feel right to me. If it were a medical treatment, I’d call it invasive. I’m always one for a more holistic and gentler approach. In autism, Son-Rise seems to fit that bill. The program’s crazy expensive, but I plan to order the starter kit. If it brings forth signs of the miracle I’ve been praying for, then we’ll try to raise funds for the intensive program, which includes staying in Massachusetts for a short period of time. Besides therapy options, I’m also looking into diets we could try. GFCF (gluten-free, casein-free) seems to be easier than the Feingold one. All those natural salicylate restrictions threw me, but I might give it a whirl if others don’t make any difference. I’ll probably begin with the easiest diet and hopefully it will already work wonders so I don’t have to try anything else. For now, this is my contribution to the autism awareness cause. Some contribution. It’s purely anecdotal. It’s rough and random. Any comfort or enlightenment derived from it is unintentional. I don’t want to pretend any wisdom on my part. I don’t want to pretend to have already come to terms with my son’s autism. I still want it gone. I know the “right” attitude to have, but if I’m not feeling it, I’m not going to pretend otherwise. Does this mean that I’m not fully loving my son because I want his autism gone? No. He is loved and cherished no matter what, but it’s because I love him so much that I don’t want him to suffer through the challenges the condition brings. If your child had a disorder, wouldn’t you just rather he didn’t have it, whatever it might be? It’s not about being realistic, but about your heart’s desire. After all, I believe in a God who makes all things possible, so I’m not going to put a limit on what I can hope for. In the meantime, we do what we can to make the best of our situation. Through it all, I pray. Despite the emotional and mental roller coaster ride, I find rest in the fact that nobody loves my child as much as the Lord does. Autism is just another symptom of this fallen world, but I trust God’s love for us to be perfect despite our imperfections. His hand is on our family. I don’t know what to expect from our journey with autism, but I know to expect goodness, faithfulness, and wonderful works from God. My grandmother used to subscribe to all the weekly women’s magazines, which, of course, I voraciously read. On the last page of most of these magazines were ads. Two of the staples were an ad for international correspondence courses and an ad for an international pen pal club. Sometime when I was thirteen, I learned that my friend Michelle had signed up with the pen pal club and was already exchanging letters with a fourteen-year old boy from Germany. She let me read one of his letters, and I found the idea fascinating. There was this kid all the way on the other side of the world telling my friend about himself and his life where he was. I checked out the photo he enclosed. He was pretty cute too. I didn’t waste any more time. I joined the club, got a list of names and addresses, and penned off a few letters right away. The first reply dismayed me a bit. I was expecting to hear from a kid like myself, but the writer was a 55-year-old woman from Sekiu, Washington. I thought that was weird. She was the same age as my grandmother, and, apparently, I was about the same age as her granddaughter who also liked New Kids on the Block. She had been married two times, had grown children, and several grandchildren. She liked to knit and fish! How was a 13-year-old brat like me supposed to relate to that? She sounded really sweet though and definitely fascinating. She wrote back to me even if I had written a lot of silly juvenile things. I decided to pursue that correspondence, and that was definitely a smart decision. She was funny, wise, thoughtful, and very good about answering letters. Unfortunately, I wasn’t very good about that myself. By the time I was 15, I was going through some pretty severe growing pains (mental and emotional) and gradually stopped writing. 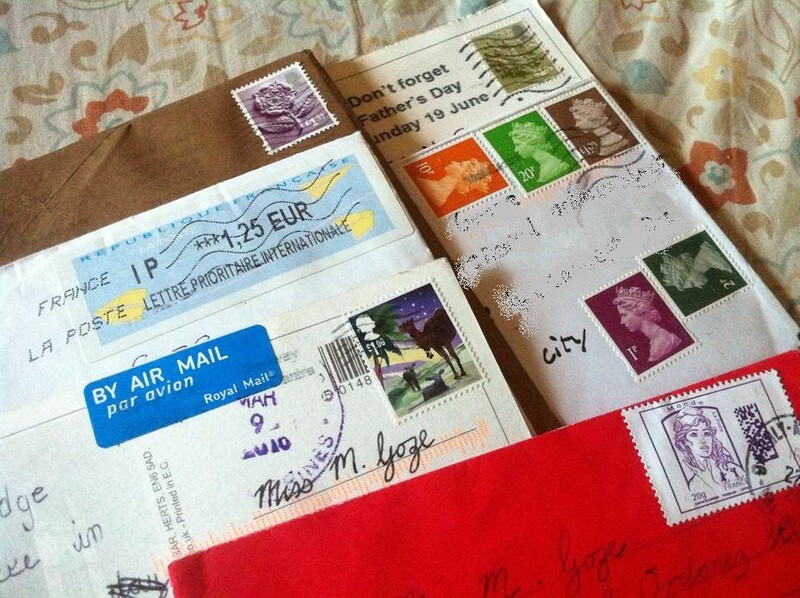 In the years I did write though, I really enjoyed exchanging letters with my pen pals. In hindsight, I could also see better how the experience benefitted me. This is why I encouraged my daughter to give it a whirl a year and a half ago when she was 9. As her mom, I can see how the exercise benefits her even more than it did me. In any case, she’s still at it and gaining more pen friends as she goes. What are these benefits that I’m talking about? You experience delayed gratification. There is the thrill of anticipation in waiting for a letter to arrive, after which, there is also the excitement, of course, of getting something in the mail. The experience means so much at this time when practically everything is done electronically and the end desired is achieved almost instantaneously. Email has its purpose, but engaging in snail mail actually helps build character. Writing by hand takes longer. Mailing (especially here where we need to go to the post office to send letters) takes longer. Transit definitely takes longer. You get a better grasp of having to work patiently toward results. You learn to express yourself with care and sensitivity. The written word can so easily be misconstrued since the reader doesn’t have facial expressions and vocal inflections to work with. Without hearing the intonation, a teasing phrase meant in harmless fun could be taken as something mean and snide. You become better aware of what you’re saying and how you can be misunderstood. In relation to this, you also learn to practice cultural sensitivity. You register that there are different people in the world and that they operate according to different values and standards. You improve your penmanship and composition skills. There’s just more satisfaction and joy in creating a neat and interesting letter. You want your recipients to have an easy time reading and understanding your letters. You become adept at following the introduction-body-conclusion sequence and you hone your thought organization and development process without even registering it. You become more creative. You want your letters to have a nice appearance. You also want them to be more substantial. You want to decorate accordingly either with drawings or stickers and, from time to time, maybe even enclose a poem you wrote, a picture you drew, a little craft project you worked on, etc. You develop a healthy form of curiosity. Your interest in your pen pals will lead you to find out more about their background and, in the process, learn lots of new things. If someone said that she’s a member of the Church of England, you find out what that means. It’s easier now with the Internet, but, back then, we had to turn to the encyclopedias. You also learn to read between the lines since letters are all you have. If your pen pal wrote, “I’m making a kippah for my brother,” and you have no idea what that means, then you might want to look it up and then, from there, make some logical inferences, such as their family is Jewish, she knows how to sew, she’s nice to her brother, etc. You get lots of exercise for that probing mind. You are compelled to start collections. You invest in stationery because you acknowledge the convenience of having different writing implements, pretty paper, greeting cards, stickers, rubber stamps, etc. That practical consideration soon develops into an outright collection. 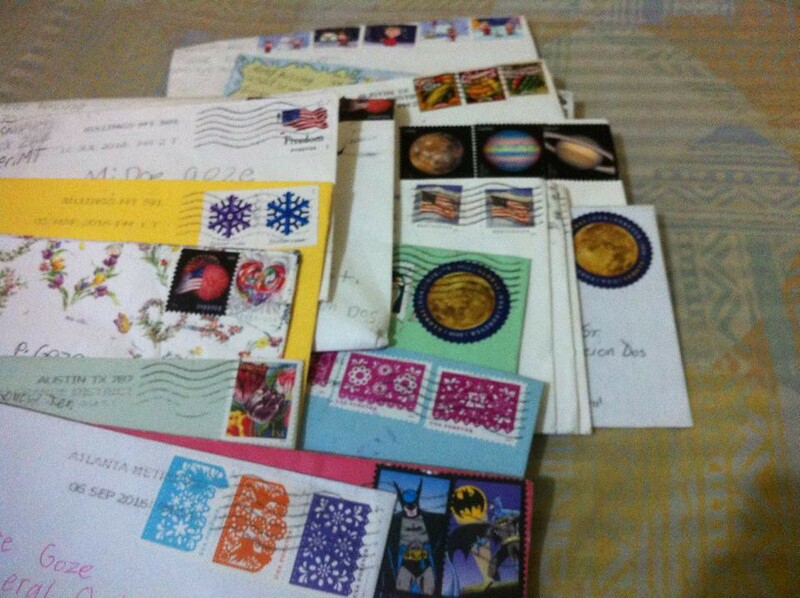 Also, from getting different postcards, postage stamps, mementoes, etc. you can unintentionally start new collections as well. You make true friends. They may not be near you but your pen pals are happy to get to know you, and as you continue exchanging letters, you’ll grow to care about each other. Soon, you’ll be sharing confidences, gaining precious insight into each other’s personalities, becoming a part of each other’s lives, and providing each other encouragement and support. 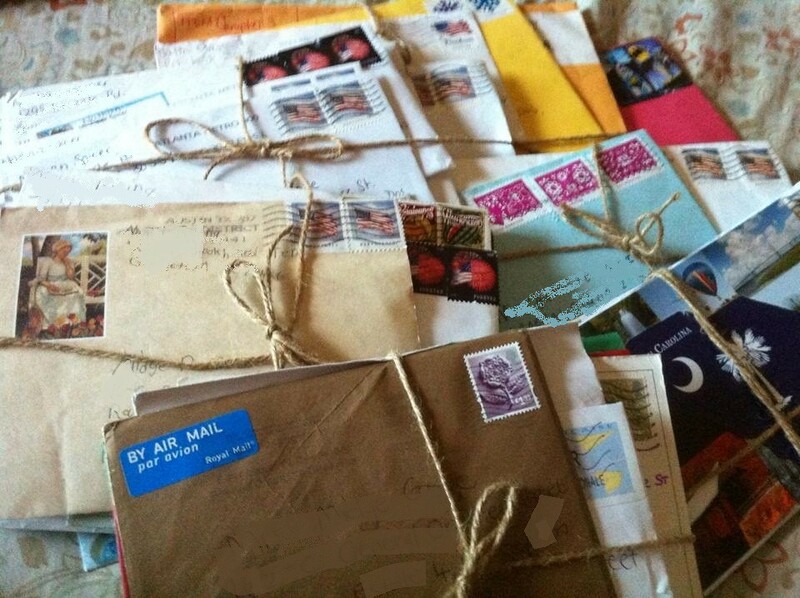 Did/Do you have a pen pal? What has it been like for you? Do you want to get started on a pen pal exchange? You might be interested to watch this video of my daughter sharing pen pal tales and tips. If you go to my personal Facebook page, you’d get the idea that I’m anti-gadget. I’m not. I use gadgets. I’m on the Internet a lot. I have to consciously wrest myself away from the Internet to make sure that I’m being mentally present with my kids. What I’m against, however, is the obnoxious, anti-social use of these mobile devices. To those who know me, that may seem hypocritical. I can be very anti-social. Growing up, it was very characteristic of me to whip out a book wherever I might have been and read. I never did it, however, when I was in a social setting. I didn’t bring out my book and start reading while people were talking to me or trying to engage me. To do that would just be so rude. These days, however, that seems to be the norm with smartphones. I can’t count the times I’ve wanted to grab somebody’s phone and hurl it at the wall. If I’m not as entertaining as a Facebook newsfeed or a YouTube video, then slink off to a corner and commit to your choice of engagement. I prefer that you not be in my presence at all if you’re not going to be present. Honestly, am I the only one who’s insulted by this kind of behavior? I’m teaching my kids to not use gadgets when they’re supposed to be socializing. Right now, my daughter likes listening to music or watching movies on our old iPod. She also has a broken iPod Touch that we have yet to get around to having repaired, but with both, my rule for her is to not use either when she’s with other people. “Chat! Play!” I urge her, and I mean both in the unplugged sense. She’s okay with this rule. She likes to talk (and, boy, does she!) and she appreciates all opportunities to play with other kids since she doesn’t get them on a daily basis, homeschooling as we do (Hold all comments about socialization – we’re happy with the organic socialization she gets. As a matter of fact, the issue I’m about to share rarely happens when we gather with other homeschoolers.). The rub, however, is in the fact that most of the other kids she’s with are using their gadgets. The ones who aren’t using their gadgets are gathered around those who are using their gadgets. I hate seeing that. Whatever happened to playing tag, jacks, et cetera? Believe me, it may seem like “mirones” watching somebody else play chess, but it feels different. Having banned my kid from gadget use when she’s with other people, she ends up being one of the kids to look over the gadget-using kid’s shoulder. When I come across this scene , my blood pressure rises (because, well, does anybody else think it’s pathetic? ), which I try to hide, so I just calmly remind her that she has drawing materials in her bag, as well as a few toys she could play-share with other kids, not to mention whatever book she’s currently reading. Call me a buttinski, but that little nudge gets me the result I want, and my kid is happy to remember that, yeah, she has those other options. As much as I prefer to just let kids be, there are moments when I feel compelled to interfere. Take for example, this one time at church. I found Midge in the office, seated next to her friend, watching the other girl play on her tablet. The other kid was completely ignoring her, as absorbed as she was with the game she was playing. It made me sad, not only because my daughter appeared a bit pitiful, looking on like that, but also because this should have been a chance for them to swap jokes, giggle together, talk each other’s ears off… I couldn’t help myself. I meddled. “Hey, M!” I called my daughter over, while taking out a piece of paper and a pen from my bag. “Let’s see if you can guess this word. It’s something found inside this room.” And thus I started a game of Hangman with her. Please don’t misunderstand. My kids get a lot of screen time – more than I’m happy with actually. What I’m opposed to is people ignoring each other in a social situation to focus on their gadget. Feel free to express your agreement or disagreement with me. I saw a bunch of “things your kids can do in Manila” type of posts on my Facebook news feed, mainly stuff you have to pay for like lessons and camps, but, still, it got me thinking about this summer’s bucket list. First, I know the term “bucket list” is supposed to refer to a life list and not a to-do list for a limited period of time since it stems from the expression “kick the bucket”, but I’m okay with using the term incorrectly, so moving on. Second, I’m a chronic list maker. I make lists for everything. And I have a compulsion to make my lists as long as possible (I really have to curb this inclination when making the grocery list), so when I make bucket lists, they tend to be ridiculously long. These two points serve as a sort of disclaimer as I’m about to share our family’s 2016 summer bucket list. It’s nothing fancy, just a colorful Word doc that I copied and pasted onto Paint, so I can share it as an image here on the blog. I obviously have mad tech skills, lol. My husband, who’s a techie, is probably cringing in embarrassment as he goes through this post. I could have, of course, scanned the printout I had posted on the fridge all through summer of last year, but that’s kind of grungy with smeared ink, dirty fingerprints, and other stains, not to mention non-matching highlighters used to strike through accomplished items. Also, it’s now glued to the kids’ smashbook (it’s actually my smashbook, but it’s about the kids, so… yeah) and it would be a wonky scan. You probably noticed the rather excessive number of items, but that’s just how I am. I like to aim high, so even if I didn’t accomplish everything, I’d still have done a lot. I also like to be thorough so my list can be as long as I can make it. I also put in a lot of “sure bets” because I like crossing things off the list. Don’t judge. It’s not that freaky. There are lots of silly list-makers out there. At least, I don’t add things to the original list for the purpose of having something to cross out, although I can understand how that can be fun and satisfying too. Do you make bucket lists as well? What are your traditions and must-dos for summer? I would love to hear your ideas. They might even end up on the printable. Don’t worry; I’ll credit you. 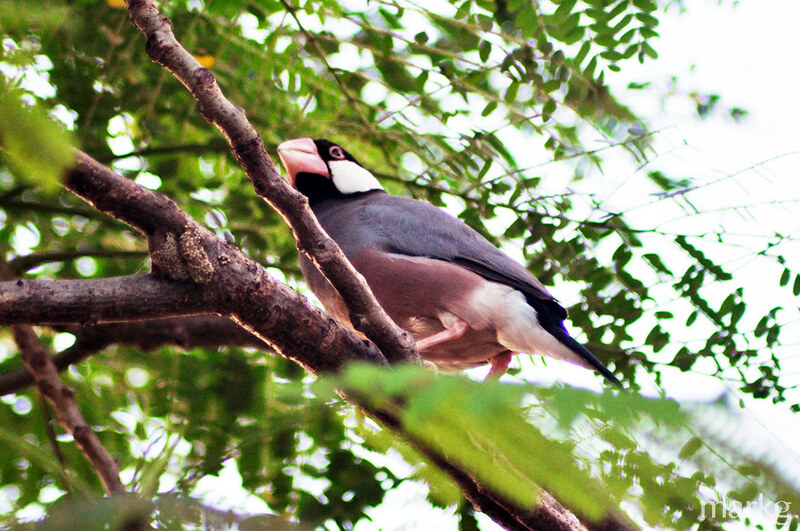 We went birdwatching in Intramuros the other day. This was the third time we took advantage of the free guided birding trips periodically offered by the Wild Bird Club of the Philippines. Not only that, I finally signed up to become a member. I’ve been wanting to join the club for the longest time and I finally did it. Yay, me! It only took me seven years. My primary reason for joining is that I’ve always enjoyed birdwatching. I’m as much a “Look at that bird” person as a “Look at the moon” one, I suppose. 😀 My spark bird (the one that ignited the interest in birdwatching) was a bee hummingbird I spotted one morning while I was vacationing at my aunt’s home in Southern California. During that trip, I also frequently saw bluebirds, seagulls, crows, and Pelicans. For a girl who’d never seen anything but Eurasian tree sparrows (maya) and pigeons freely flying about (I was wrong about this, btw), seeing different kinds of birds in the wild (well, suburban wild) was a huge deal. Birdwatching is definitely an activity that I want to share with my family. It’s my own interest, but I believe that my kids can benefit so much from engaging in it as well. Let me list the obvious perks that come with birdwatching. You learn about nature and appreciate how full of wonders it is. Different aspects of nature are intertwined, so the knowledge gained won’t be limited to birds. The impact on your kids could also be that, from being exposed to nature, they won’t be easily impressed by materialistic goods. If you’re a homeschooler, you could also integrate birdwatching into nature walks, make creating a safe habitat for birds a project, etc. You get yourself outdoors. Have you ever heard of Nature-Deficit Disorder ? Child advocacy expert Richard Louv coined the term, which refers to the condition in which human beings, particularly the young, spend less time outdoors, resulting in various behavioral problems. It’s important to get yourself and your family outdoors. If you’re kind of a homebody, you can start with your backyard, gradually move on to the park, and then move on to easy nature hikes. Perhaps you can venture farther and attempt something even more outdoorsy from there. You get to enjoy the fresh air, soak up the recommended daily dosage of Vitamin D, and have an adventure. You get some great exercise – So engrossed in watching birds, you won’t notice that you’re walking miles at a time. This gives you a solid cardio workout. You also build up the strength of your upper arms, having to lug around spotting scopes as well as lift binoculars and hold them steadily. You effectively develop skills necessary to slow living . You learn to be more patient since birdwatching is not an exercise in instant gratification. Sometimes you have to wait hours (or years) to spot the bird you want to see. Besides that, birdwatching can also be a meditative activity and provide you with plenty of opportunity for contemplation and introspection. You hone quick reflexes and mental alertness at the same time that you develop patience. Birds won’t stop and pose for you while you scramble for your binoculars and focus them accordingly. You also need to be fast at spotting clues of a bird’s presence and identifying its kind based on the features you saw, no matter how fleetingly. You become a member of a special community. By becoming a birdwatcher, not only do you gain the physical and mental benefits of the activity, you also boost your social health. It’s a great way to meet kindred spirits, both offline and online. Do you love birdwatching? Do you find it interesting and see yourself taking it up? Or do you think it’s, well, for the birds? Let us know your thoughts on this and tell us which birds you frequently see in your neighborhood.